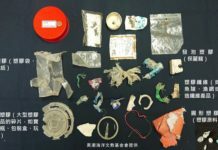 At 4:50 p.m. on October 21, an east-bound Puyuma Express train was devastatingly derailed at the Sinma train station in Yilan county. The deadly failure is under investigation now, but this stunning accident never imagined in Taiwan society caused 18 people dead, 220 injured and not to mention those heart-broken family affected. 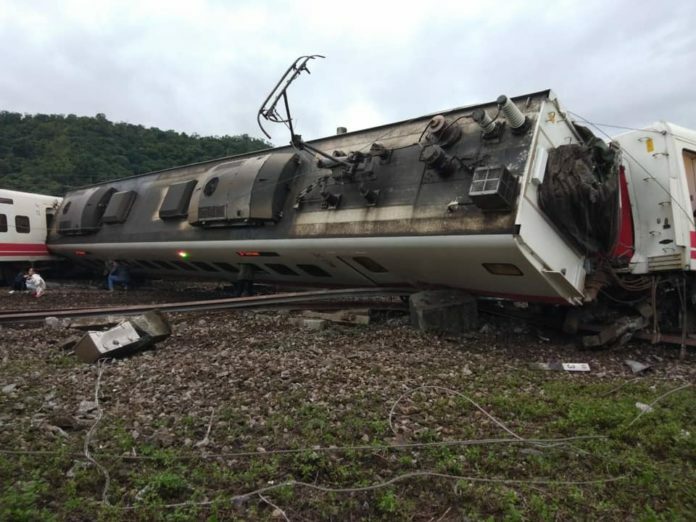 To concern and comfort those injured and the victim family of this derailment, PCT pastors of Chi-Hsin Presbytery go to the site of derailment and the hospitals once this news are broadcast in the media. These pastors include Rev Cheng Chong-ren of Tong-San Church, Rev Wang Jong-hsin of Lo-Tong Church, Rev Yang Chia-ling of Su-chieh Church, Rev Lin Bor-chin of Wu-chieh Church and Rev Huang Pao-yu of San-Hsin Church. In the morning on October 22, Rev Wang Jong-hsin together with 20 members of Yilan Prayer Fellowship are contacted by TRA(Taiwan Railways Administration) to comfort the family of the deceased victims and held a comfort service at site. In the interview, Rev Wang expresses that the churches at Yilan area will carry on their social service at the hospitals, including the affiliated hospital of Yang-Min Univ., Notre Dame Hospital and Po-Ai Hospital at Lo-Tong Township, comforting those victim family or the injured. As to the victims of student and teacher at the hugely impacted Pei-Nan Junior Middle School, the ministry of companionship will be handed to the Mustard Seed Bread and Life Church at Suao Township, according to Rev Wang. Rev Omi Wilang, secretary of PCT Church and Society Committee, also pays his tribute and condolence to the family of Ms Lee Shi-han, who is such a kind and generous teacher voluntarily offering time and money to help organize an overseas tour for the students of Pei-Nan Junior Middle School but unfortunately passed away in this derailment.